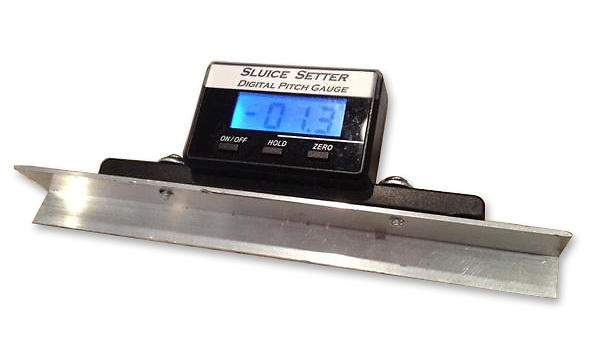 The Sluice Setter Digital Pitch Gauge is for gold miners who realize the importance of consistently getting the correct pitch on their sluice box. This varies based on the water volume, water speed, and amount and type of material you run. Once you figure out what pitch keeps all the gold but doesn't clog up the box, you'll want to check the pitch every time you reset.